Koki Eto’s run for a second bid at a super flyweight title will include a new co-promoter along with his stateside debut. 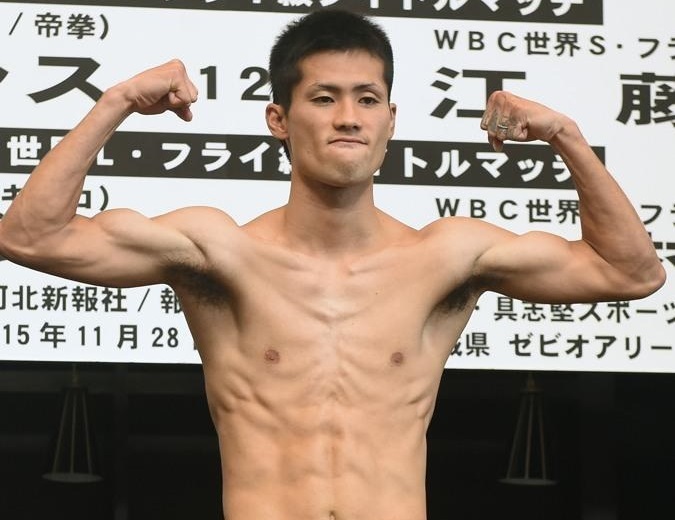 The former interim flyweight titlist and 115-pound title challenger from Japan has entered a co-promotional agreement with All Star Boxing, Inc. and Teiken Promotions. Former WBA Flyweight Champion Koki Eto of Okinawa, Japan has signed a multiyear promotional agreement with All Star Boxing, Inc and Teiken Promotions and will see action in the Unites States. Eto’s first fight under the multi-year deal will come in a super flyweight title eliminator versus Puerto Rico’s Jeyvier Cintron, which is set for May 25 at Osceola Heritage Park in Kissimmee, Florida. The bout will air live on ESPN in supporting capacity to the 130-pound title fight between Eto’s countryman, defending titlist Masayuki Ito and rising contender Jamel Herring. Eto (24-4-1, 19KOs) briefly held an interim version of the flyweight title in 2013, losing the belt in his first defense in a 12th round knockout defeat at the hands of Yodmongkol CP Freshmart in their Fight of the Year-level war. A move up the scale in 2015 resulted in his first shot at a full title, falling short versus then-unbeaten 115-pound titlist Carlos Caudras. He’s since won seven straight and is now ready to take his act to the US, having fought exclusively in Asia throughout his 11-year career. His road to a second title shot comes with a stiff challenge in Cintron (10-0, 5KOs), a two-time Olympian for Puerto Rico whose April ’17 pro debut took place in this very venue. The eliminator precedes the yet-to-be-announced vacant super flyweight title fight between Eto’s countryman Kazuto Ioka and Philippines’ Aston Palicte, which is tentatively scheduled for June 19 in Japan.